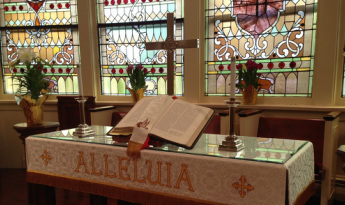 On Sunday mornings we worship at 8:30 and 10:30 a.m. The 8:30 service is an informal, forty-five minute service that includes communion weekly. It is held in the chapel adjoining the sanctuary. 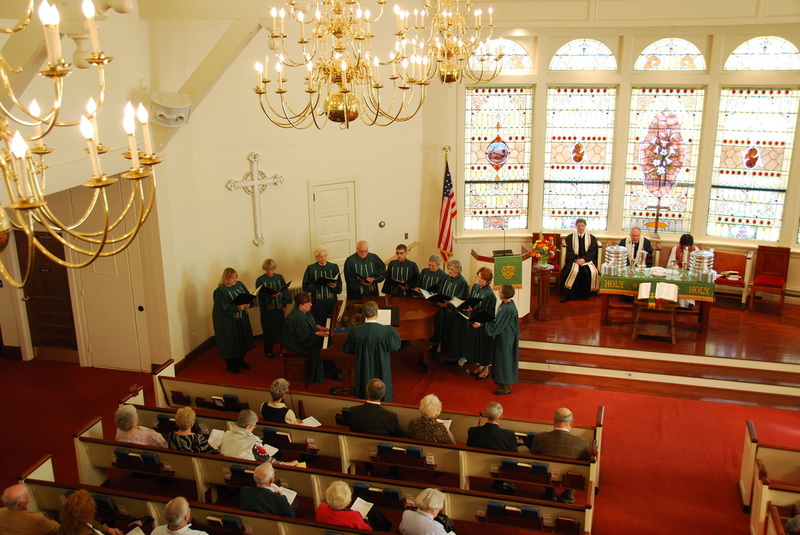 The 10:30 service is held in the sanctuary and is family oriented, featuring a wide range of music led by our church choirs (children, youth, chancel, and bell choirs). A short message for children is also included in the service. Young children (kindergarten through 4th grade) following the Children's Message are led to Children’s Chapel, a fun, interactive time of worship for kids. The same message is given at both services, applying the truths of Scripture to the lives we lead in relevant and hope-filled ways. In all that we do in worship our aim is to enjoy and glorify God, that departing, we may share God's love in the world. For those with small children, nursery care is available from 8:30 a.m. until 12:00 noon. The Lord’s Supper is the sign and seal of eating and drinking in communion with the crucified and risen Lord. In this act, we remember that during his earthly ministry, Jesus shared meals with his followers and sat at dinner tables as a sign of acceptance of the sinner and outcast. In the last meal before his death, Jesus took and shared with his disciples bread and wine, speaking of these elements as his body and blood, symbols of the new relationship with God brought about by his impending death. On the day of his resurrection, the risen Jesus made himself known to his followers in the breaking of bread. The invitation to the Lord’s Supper is not just for Presbyterians or "members of the church." All who confess Jesus Christ as Savior and Lord are invited to partake of the Lord’s Supper. Access to the Table is not a right conferred upon the worthy but a privilege given to the undeserving who come in faith, repentance, and love. Even one who doubts or whose trust is wavering may receive the bread and grape juice (in place of wine) in order to be assured of God’s love and grace in Jesus Christ. Poland Presbyterian Church celebrates the Sacrament of the Lord’s Supper weekly at the 8:30 service, and on the first Sunday of the month at the 10:30 service, as well as at evening services on a scheduled basis throughout the year. If you wish to know when the Lord’s Supper will be celebrated next, please contact the church office at 330-757-1547 or info@polandpresbyterian.org.